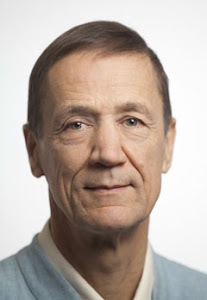 Ian Gawler: Out on a Limb: Ian Gawler Blog: Who needs prostate surgery? A long-running study has found radical prostatectomy (removal of the prostate) fails to save lives in most men with localised prostate cancer. In a randomised trial of over 700 men who were aged 67 years on average, and had a median PSA of 7.8 ng/mL at the time of enrolment, 47% of those who underwent prostatectomy died from all causes during follow-up of up to 12 years, compared to 50% of those assigned to observant management. Specifically, there was no significant difference in deaths directly related to prostate cancer: 5.8% of men in the prostatectomy group died from prostate cancer or treatment, compared to 8.4% in the observation group. On top of this, the side effects of the surgery were highly significant. Two years after treatment, urinary incontinence was almost three times as common in the prostatectomy group as in the observation group, and erectile dysfunction was almost twice as common. Remarkably, they said that currently, nearly 90% of men diagnosed with localised cancer received early intervention with surgery or radiotherapy, despite up to two thirds having a relatively low PSA value or low-risk disease. It is important to note that the study found radical prostatectomy did reduce all-cause mortality in men whose PSA value at diagnosis was greater than 10ng per mL. However, overall the authors could not conclude whether prostatectomy improved or worsened the risk of death: statistical analysis found the surgery could reduce all-cause mortality by up to 10%, or increase it by up to 4%. An accompanying editorial said the challenge remained identifying which men had aggressive, high-grade cancers and would most benefit from surgery. “Prostate cancer is not a monolithic cancer, but a spectrum of disease. The screening, detection and treatment we provide must focus on cancers that matter, and future clinical trials must do so as well,” the editorial said. COMMENT: This study is very important for men diagnosed with early prostate cancer. It compliment’s Dean Ornish’s randomized trial with early prostate cancer that demonstrated a lifestyle program very similar to that set out in You Can Conquer Cancer and taught at the Gawler Foundation, was able to lead to significant decreases in PSA with a dose related effect – meaning that those men who followed the program diligently got the best results. The challenge is to manage the fear associated with the diagnosis and the need to be confident in one’s own healing potential. In my observation many people diagnosed with cancer become so fearful they will do things that do not always have logic or evidence on their side, such as accepting being pressured into having radical surgery by medical staff as well as family and friends who believe that radical medical intervention is in their best interests. This research provides good evidence. It would seem very reasonable that for early, localized prostate cancer, the treatment of choice may well be not to have surgery, not to sit idly by and hope for the best while you are being “observed”, but to actively pursue a lifestyle based treatment regime. This is the sort of medical information one is wise to think of when well. In my experience, when people face a cancer diagnosis it is often hard to think clearly for a while, and as a consequence, sometimes decisions are made that lead to later regret. WHAT DO YOU THINK? Have you say in the comment section below. 1. Friends, control and power. Friends of Science in Medicine have refuted claims in two Medical Journal of Australia (MJA) articles that the group is trying to get rid of all complementary and alternative medicine courses from universities. FSM president Professor John Dwyer, said his organisation “clearly” supports CAM research where there is evidence for potential benefit. “It will be a great pity if parallel health care still exists in 10 years, for science has the ability to see a convergence of CAM and orthodox medicine”, he said. This current controversy was sparked earlier in the year by a letter sent from the FSM to vice-chancellors of universities offering CAM courses. It asked that the universities review their teaching of health sciences “to ensure that primacy is given to scientific principles based on experimental evidence”. “The debate on whether complementary medicine should be a university discipline, when seen from a sociological perspective, says much less about good science and much more about control and power. “This controversy is simply the latest episode in a long-contested battle between orthodox and divergent views. “CAM courses clearly develop critical thinking and fulfill the criteria for legitimate university disciplines”. The authors said that they believed the views promoted by FSM in the earlier MJA editorial, “exceed the boundaries of reasoned debate and risk compromising the values that FSM claims to support”. Is Israel leading the way in integrating Integrative Medicine into the mainstream? Many think so and it was a delight to present last week to over 200 enthusiastic doctors, psychologists and other health professionals at a day Masterclass arranged by Tel Aviv’s Beilinson Hospital’s Integrative Medicine unit. A delight to have such interest in meditation and its capacity to build resilience and satisfaction levels in health professionals, while enhancing empathy, decision making and clinical outcomes. Over three quarters of the audience had done some meditation before and many indicated they were regular meditators. How the world has changed. It has been another source of delight to be a part of Ruth reconnecting with aunts and uncles and cousins not seen for many years. And now we head for Jerusalem!!! I am a GP, and I recently attended a Medical Conference. One of the speakers, an Oncologist, commented that investigation of elevated levels of PSA can lead to overdiagnosis and overtreatment. He cited a study of post-mortem findings of 40 year old men who died in car/road accidents. Of these men, a whopping 40% of 40 year old asymptomatic men had prostate cancer on post-mortem. The message he was making was that most of these men would never have developed aggressive prostate cancer if they had gone on to live out their lives. And yet it tells us that 40% of healthy 40 year old men have prostate cancer- the vast majority of whom will live symbiotically with their cancer,rather than be consumed by it. It is certainly true that prostate cancer is a spectrum of disease, not just one entity. I notice that their is no mention of the Gleason Score which in my instance was 9 and considered high risk even tho' my PSA was fairly moderate at 6.2 and I have decided on surgery as I am not prepared to take the risk on the cancer spreading. Lower scores would definately alter my thoughts on surgery. Blog is great, and things you said it’s extremely helpful for prostate health. Herbalhills also having a prostate care medicine which is call proscarehills.